Data centers rely heavily on their integrated temperature cooling capabilities to protect against the overheating of electronic hardware such as servers and computer systems. Additionally, high temperatures can be tied to imbalanced relative humidity (RH) levels, which can cause other issues such as dangerous instances of electrostatic discharge (ESD) and/or excessive moisture. In turn, this can result in the loss of data, the hobbling of server efficiency, and the overall decline in reliability of integrated computer systems. Evaporative cooling, especially when utilized in conjunction with a humidity control unit such as in one of Condair’s adiabatic humidifiers, can mitigate these risks and further regulate interior temperatures throughout such environments as data centers. There are many ways to maximize the cooling efficiency of such facilities, particularly when using this form of temperature and humidity control. A direct commercial evaporative cooler utilizes a humidifier to add moisture to the incoming airstream. This results in 100% fresh air being filtered into the building at all times, as well as 100% of the cooling effect felt by occupants of the rooms linked to the system. This is dependent entirely on the source air being filtered into the building, however, as for whether or not the air is hygienic or pollutant-free will invariably impact the interior of the data center it is drawn into. A Condair humidifier with adiabatic cooling capabilities is an ideal solution in this instance, as it utilizes a special media to filter outside air as it is cooled, resulting in cleaner air. Clean, hygienic water is required, however, as is the same for all forms of evaporative cooling. An alternative form of utilizing a commercial evaporative cooler is to implement an indirect evaporative cooling system. These utilize outside air to cool an internal environment without allowing external or internal airstreams to meld together. By adding a commercial evaporative cooler on the outside air stream prior to it entering a heat recovery unit such as a plate heat exchanger, the temperature can be reduced, and additional cooling can be achieved without adding moisture directly to the supplier. The result is greater cooling capacity and effectiveness even when it is warmer outside than inside the facility – perfect for arid or other warmer climates. Since the two air streams don’t mix during the adiabatic cooling process, there is zero risk of contamination or external natural tampering. This also allows the outside air stream velocity through the heat recovery unit to be much greater than the internal recirculating air, benefiting the data center with greater cooling efficiency for less cost in terms of energy usage. If a data center has a reliable, proven means of heat dispersion that provides consistent results, it will become easier and more efficient to keep interior environments at desired cooler temperatures with minimal energy usage. For instance, an indirect commercial evaporative cooler is designed to draw outside air through a heat recovery unit (such as a plate heat exchanger), the latter of which is immediately exhausted. In the meantime, internal air is drawn from the room and circulated through the heat recovery unit before being reintroduced as cooler air. Effectively, the outside air then cools the internal air through the heat recovery unit without these two air streams directly mixing. Other forms of heat dispersion include heat uptakes and fan systems above server stacks and mainframes, which can be used to draw heat outdoors through the facility’s ventilation system. To further bolster the effectiveness of a data center's cooling system, it is important to also consider the layout and design of the building itself. As previously mentioned, there are many cost-effective and easy hacks you can apply to a data center's interior spaces to maintain relative humidity (RH) levels and make evaporative cooling systems even more efficient. Such examples include using blanking panels and fewer servers to reduce heat generation, using adiabatic humidifiers such as those supplied by Conair, accommodating for your climate and considering whether or not the building would require extended cooling hours. By working with your cooling system rather than against it, the benefits will be greater in terms of cost-effectiveness and energy savings. Whether you operate as a hyperscale, colocation, enterprise or edge variant of data center (each of which differ in terms of size and operational capacity), it is important that onsite cooling capabilities are as efficient and capable of meeting the needs of your facility as possible. 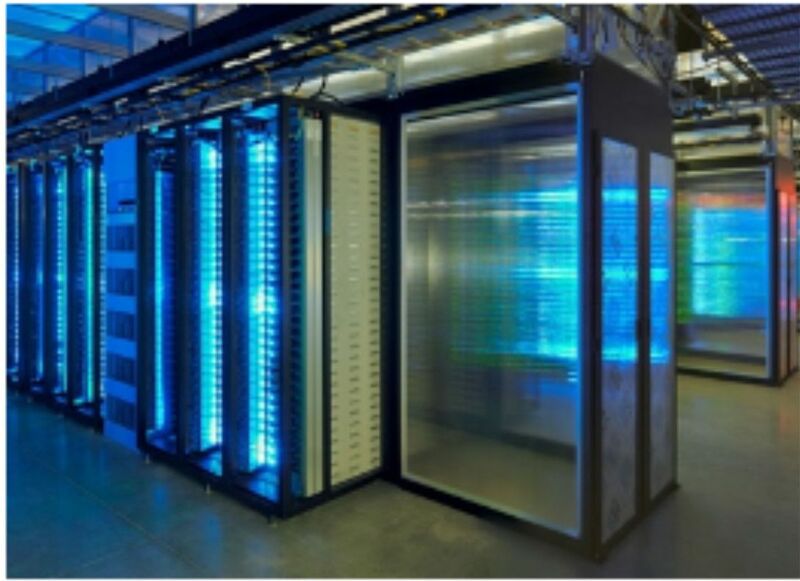 In addition to Condair’s range of adiabatic cooling and humidity control solutions, we are happy to provide data center operators with the knowledge needed to advance the capabilities of their facilities. Watch our informative webinar on how data centers benefit from evaporative cooling or contact us today for further information. Speak to one of our humidification experts today to learn more about humidification solutions your Data Center.